When you think of the American Automobile Association, you might think of senior citizens, big recreational vehicles, road service and old-style printed maps. Starting now, the AAA want you to think of it as a prime travel destination on the Web. At a recent press event at New York’s Columbus Circle, the AAA announced the relaunching of its AAA.com Web site featuring its TripTik automobile trip-planning service. What’s new is the new open-door policy for TripTik. 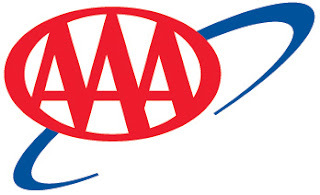 Instead of being a members-only service, all Web surfers can now access the service and use AAA’s exclusive data such as its hotel- and restaurant-rating services. Billed as the first online travel agency exclusively designed for motorists, TripTik’s maps offer data not available elsewhere, such as the AAA’s diamond rating system for hotels and access to its database of AAA member discounts. For example, if you mapped the immediate area around New York’s Yankee Stadium, you’d find the closest AAA-rated hotel is the Howard Johnson’s on Sedgwick Ave. in The Bronx while the closest AAA-rated restaurant is Londels on Frederick Douglass Blvd. in Manhattan. By opening up the TripTik service to all Web surfers, AAA hopes to attract new members by showcasing the discounts that are only available to members, said AAA CEO Robert L. Darbelnet. “We decided to remove the barrier,” he said. Many of the hotels listed on the online map have a direct Web link for reservations. Travelers can then compare the best generally available rates to what they could get if they were AAA members. For more information, see the AAA Web site, insert your ZIP code and look for the TripTiks link on the left side of the screen.